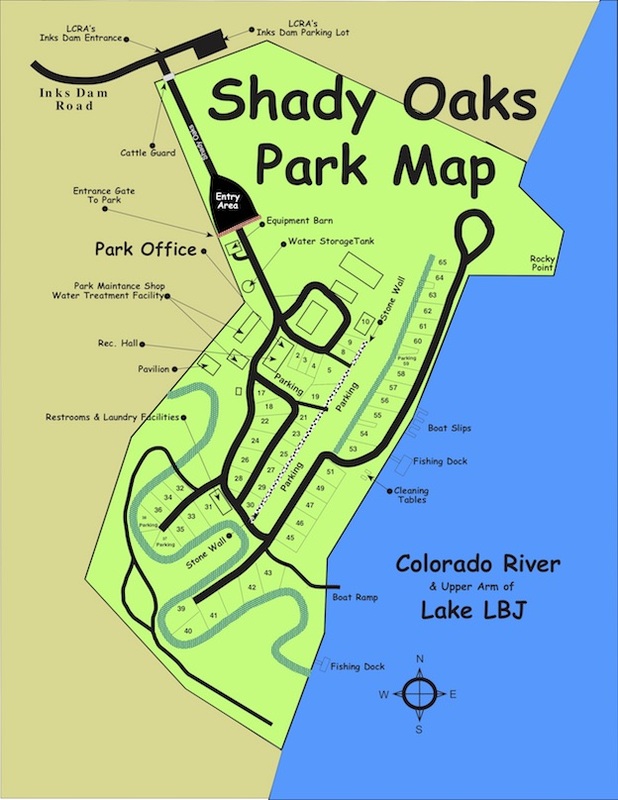 Shady Oaks is located between Burnet and Llano. Leave Highway 29 at the west end of the Inks Lake Bridge. Turn south on Llano County Road 301. Follow our signs for 2.5 miles.